When you buy a new home appliance, system, or part that comes with a warranty, do you fill out the card and send it in to the manufacturer? Or do you put it in the to-do pile and forget about it? Or do you assume it’s activated at purchase? Some people aren’t very impressed by manufacturer warranties, so they discard that little card that comes tucked into the instruction manual or taped to the box. After all, what are the chances that a part will just stop working on its own in the usually short timespan the warranty provides? I mean, aren’t these warranties provided for free, because the manufacturer has confidence that their product will work great? Perhaps, but I need to take a moment to emphasize how important it is for you to take the five minutes needed to fill out this form and mail it in. Last week, I noticed that the temperature in my house was going up and the air wasn’t coming on. This has happened in the past. Either the outside unit needs to be cleaned out (we have huge oak trees that spew leaves) or the pan under the inside unit needs to be emptied. The outside unit was fine, so my fiancé climbed up into the attic while I held a bucket, and we emptied the pan. The unit kicked back on and was working fine. Six days later, I woke up sweating. The unit was still blowing air, but it was only semi-cool. I grew up in Northern Michigan where most places still don’t have A/C, so I can manage, but I have a little one in the house who spent the whole night tossing and turning due to the heat and humidity. So, at 6 a.m., my fiancé was up in the attic emptying the pan again. I called for a repairman, who later told me that the unit had a leak. 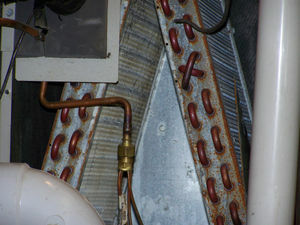 After doing a blue dye test, which he had to come back the next day to finish, I was told that the leak was in the evaporator coil, but he knew the unit fell within the warranty timeframe. He just needed the previous owner’s name in order to pull up the warranty. So, I gave it to him and he called the manufacturer. He called back to break the bad news. It was going to cost over $1,000 to replace the evaporator coil, because the previous owner didn’t take the time to fill out the warranty! Talk about my day being ruined! In the past year, I’ve paid for a new roof and all new windows for the house, so having to pay out even more for something that could have been covered with something as simple as a manufacturer’s warranty felt like a kick in the gut. 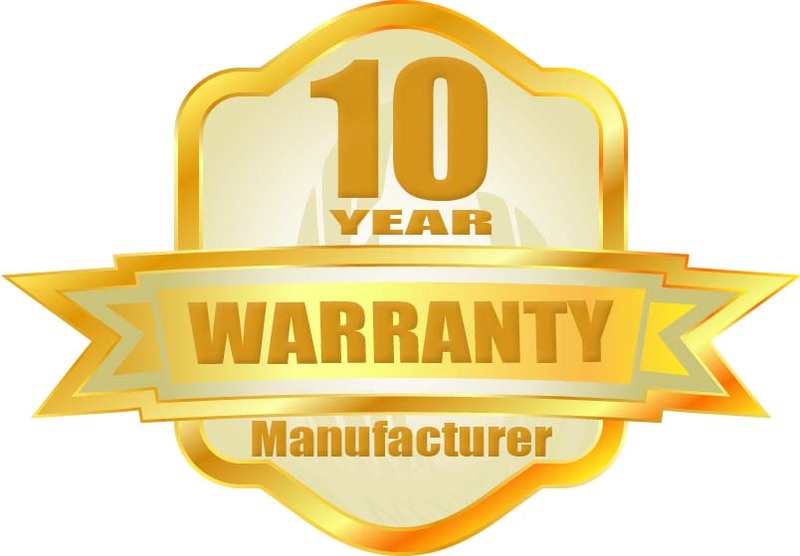 So, next time you get a hot water heater, HVAC, or even a new toilet…if there’s a warranty to be filled out, either on a postcard or online, please take the time to do so. It may not be you who has to deal with the repair. Also, I think it’s important to note that I was never offered the option to purchase a home warranty when I bought my house (back then, I wasn’t part of The Cameron Team). The entire time I was dealing with this, I kept thinking about how much I wished I had a 2-10 Home Warranty, because the evaporator coil would be covered. So, if you’re going to buy a home, try to get a home warranty when you do. It’s worth it!